HICTOP Purse I3 is a great 3D printer for anyone willing to get started with 3D printing, it requires some time & learning to get use to, but at the end, it is worth it if you are willing to put in the time for it. You may need to replace some parts to fit your future needs, but out of the box, HICTOP Purse I3 generally provides everything you need to start printing. Things You Can Make With 3D Printer? If You Don’t Want To Assemble A 3D Printer, Ready-Assembled 3D Printers? 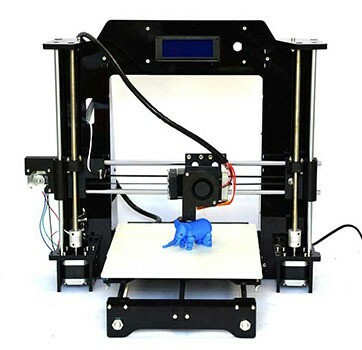 Affordable 3D printer, which provides a good value for the money. Prints accurately models once calibrated and assembled, and the printing bed is leveled. Good printer to get into 3D printing. A good way to learn how 3D printers work, as you assemble it yourself. Despite its good price & value, you still need to work & tinker with it before you could see results from it. The assembly video in Hector’s site is not very clear, and you may need to watch it many times to understand some parts of it. Operating system:- Windows XP, Windows 7, Mac OSX. 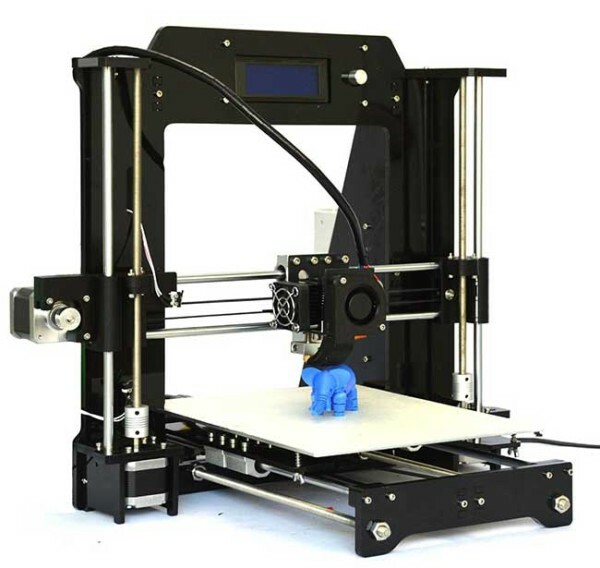 Note:- The package only include all the parts for the 3D printer, not the assembled machine. 3D printing, which is also known as desktop fabrication, thought it is going to be the next industrial revolution (According to Wikipedia), something I find easy to believe, giving enough time, we may end up making a lot of the things we buy from stores these days. And bigger 3D printers will be able to produce things much easier than now and on a larger scale. Because of that, chances that you want to get started with 3D printing, so you are looking for an affordable one for a starter. You came to the right place, as HICTOP Purse I3 is a good starting 3D printer overall. Which is based on the Purse I3 open-source design. Since HICTOP Purse I3 is a 3D printer kit, it requires some work & training to get use to, but at the end, the end result is worth it if you are willing to put in the time for it. First of all, and before you could print anything with it, you will need to assemble the printer yourself, once that’s done, there is the process of calibrating it. Then you are off to go to print whatever you want. For someone new to 3D printers, you may have some trouble assembling it. To help you with the assemble, HICTOP’s website has video that shows you how to assemble the printer, that video may not be very clear, so you may need to rewatch it multiple of times until you can actually assemble the printer correctly. As long you don’t mind spending some time tinkering and learning how to assemble & use HICTOP Purse I3, you will end up pleased for the most part. Poorly threaded nuts & bolts. But they give you extra, so it is okay. You may find that you need to use washers or tighten some screws in a certain way. Another problem is installing the themistor wrong, which will ends up reading the temperature wrong and burning the filament. This problem will occur if you didn’t connect the extruder themistor to the A13 plug of the motherboard. Leveling the printing bed may take you some time and it can be tricky. During printing, the Y axis may drift, so you may need to tighten some screws or slowing down the printing process, depending on the case you face. 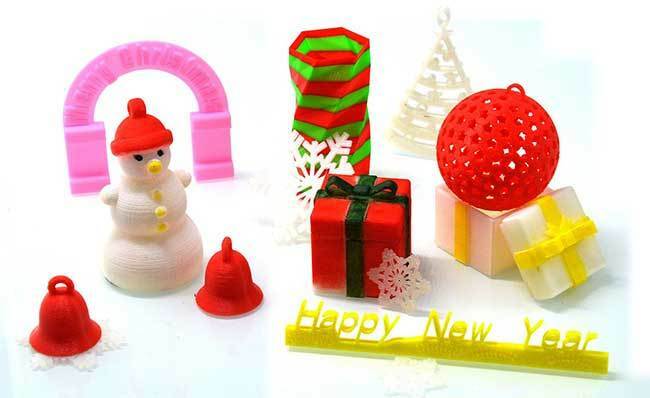 You may face other unexpected issues during the assembly or printing, but there are tons of advice in Google and 3D printing communities out there, the goal of mentioning these problems is not to worry you, but to mentally prepare you for the process. After assembling HICTOP Purse I3, you need to calibrate it, make sure the printing bed is leveled. For one, you need to use piece of paper to separate the nozzle from the bed. Once the calibration is done, you can start printing right away. While HICTOP Purse I3 is compatible with both ABS & PLA printing materials, it works pretty much better with PLA, as the maximum printing bed supported it 70°. So unless you upgraded the printer with some additional parts, you better stick with PLA. Note:- In case you felt lost here, ABS & PLA are the 3D printing materials the printer use to create the objects. printing with ABS Requires more heat, which is one of the reasons HICTOP Purse I3 doesn’t do well with this kind of materials out of the box. On the other hand, PLA requires less heat to be melted & molded, which is why this printer here supports it better. And in general, PLA is weaker than ABS, but is easier to create detailed objects with. The models produced with this printer are accurate, which is a nice reward for all the work you took to assemble it. Using a tape or hair spray on the printing surface can help the filament stick to the printing surface, so you may want to try that at a later time. HICTOP Purse I3 comes with Cura software, which is a free Open-Source 3D printing software. The software does everything for you, but you can get to play with many things in it, like if the model will have a Raft (base), or support (thin material to support the handing parts of your model). As well numerous of other settings, like the infill, which determines how solid your final object will be. Just like a personal computer, HICTOP Purse I3 can be upgraded by replacing existing components, or by adding new ones, which will add to its capabilities. As the things that comes with the printer may not suit your needs on the long run, or may not last at all for long-term usage. Note:- While the printer shown in this video follows the same design as HICTOP Purse I3, it is a different printer model. Another upgrade can allow the printing bed to be heated up to 100°, which mean with the right parts, you will be able to use ABS filaments with it as well. Not all of us like tinkering and all, and some of us are used to buying gadgets that works once you plug it & then install the driver. So why 3D printers shouldn’t be the same? In fact, there are 3D printers that are pre-assembled, and ready for you to use right away. The problem with that option is that the printer can be more expensive compared to a kit. But it may be worth it in case money was not an issue for you. HICTOP Purse I3 is a good 3D printer kit to start with this big new world of creating object. One good thing about it is that you can get it now for a good price, then upgrade it to do more once you get the money, or once your needs increase. Assuming that is the case, you should expect the final cost to be higher than the initial cost of this 3D printer. Buying a refurbished Cintiq, a good way to get Wacom Cintiq for cheap.